Words I never thought I’d say: I have a carrageenan allergy. After seeing an allergist for a year, buying Bendaryl by the case, a few used Epi-Pens, and one trip to the ER, I finally have a diagnosis. I am allergic to carrageenan, a seaweed derived ingredient used in all sorts of packaged foods. I’m glad to finally have an answer to my sporadic allergic reactions (anaphylaxis) to foods I’ve eaten my whole life with seemingly zero common denominator. Unfortunately, this now means I have to change my grocery shopping and eating habits tremendously. 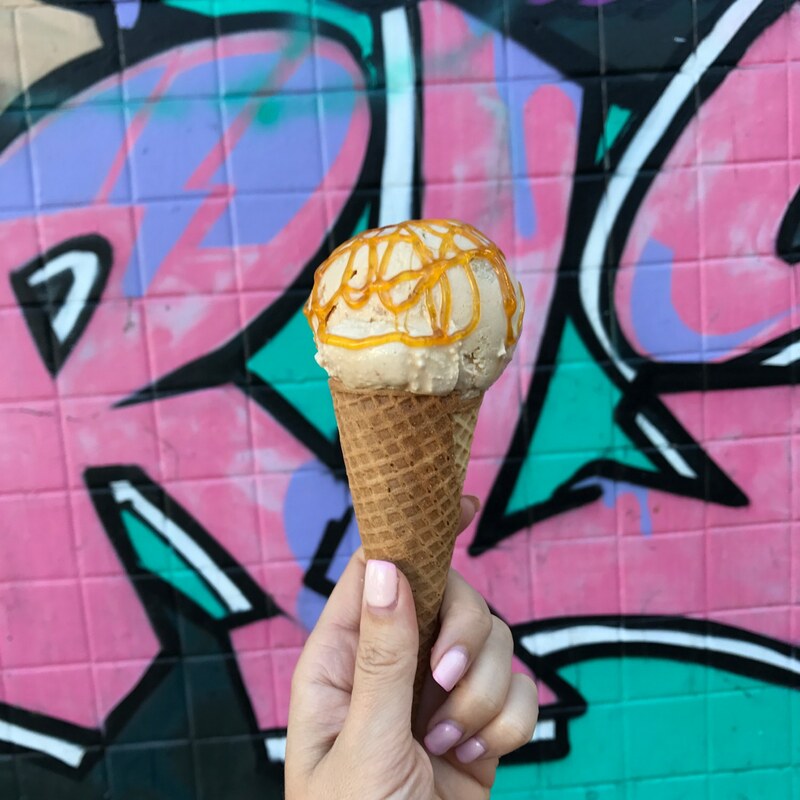 Carrageenan is used as a stabilizer, sweetener, and gelling agent in all kinds of foods, including “healthy” packaged foods you find at Whole Foods and Trader Joe’s. Generally speaking, you may find it in dairy and dairy-free products such as cream cheese, coffee creamer, and ice creams. It’s an extremely rare food allergy to have, so I’m hoping this post can be a resource for anyone trying to avoid this sneaky natural additive. Here are some of the brands and foods which contain carrageenan that I’m avoiding. Here are the brands and substitutions I will be using moving forward. 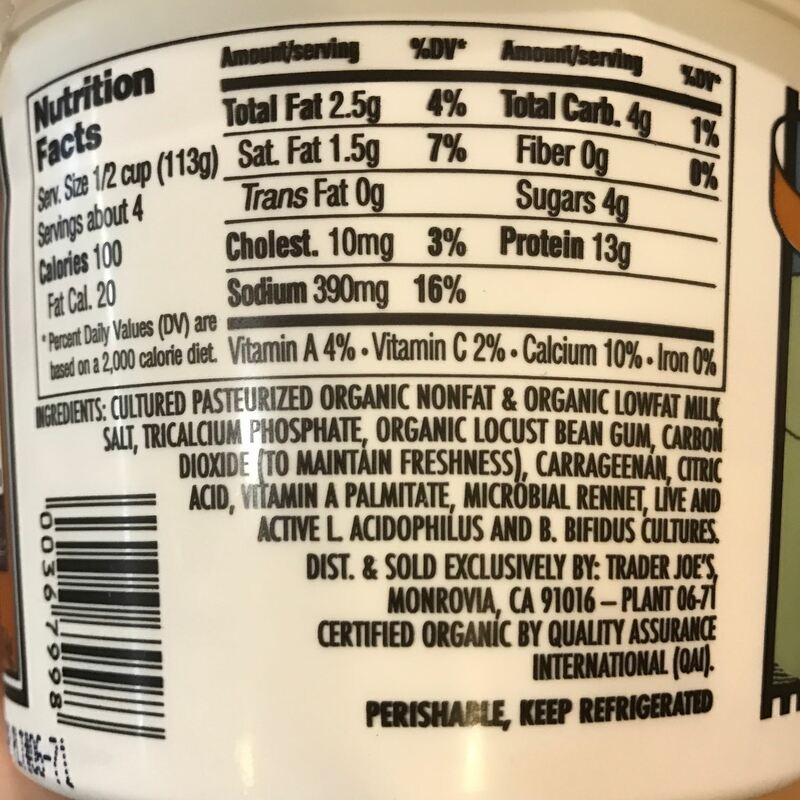 It’s always a good idea to look at the ingredient labels to get the most updated information, just in case any of these brands switch things up. I’ve always been very sympathetic to those with severe food allergies and sensitivities. I’m working hard on making it a habit to pick up label before I pick up the fork to ensure what I’m eating is allergen-free. Have you ever heard of carrageenan or do you struggle with food allergies? I would love to hear your story in a comment below. Thanks for reading! This is the reason why we grow such a big garden, raise our own meat and process and make everything we can from scratch. That is the dream! Not really a possibility in downtown SF where I live, but you are so lucky to have that! Yes there is so much crap in everything! I have heard of this ingredient before, but I thought it was a coloring agent. (shows what I know! ha!) I am glad you figured out what was causing your allergy. It’s a sneaky one! Seems to be in a lot of foods… I recently read some brewers even use it in the beer brewing process. I’m sorry to hear you have an allergy, but glad you figured it out! Crazy how many ingredients are in what we eat and we don’t even know! it’s so true! So many sneaky things in our foods. Thanks Randa! Same to you. Sorry to hear you’ve been going through this, bu good to hear that you have a diagnosis now and know what allergy you have. It’s crazy what fillers can be in so many different foods. I was shocked how many different foods it can be in! It can even be used in the beer brewing process and it would never be listed on the label. For two years, I’ve been dealing with a rare, unexplained food allergy. The symptoms are delayed. Experts cannot figure it out. I’m starting to narrow it down to what I believe could be carrageenan. Thanks for the info!!! I noticed your comment about being in the beer brewing process. Have you had similar reactions to ice cream and beer? These so far seem to be the only things I can find that really set off my stomach. I was originally thinking it was a gluten issue, then dairy, but now I’m wondering about this. I tried a dairy-free ice cream (Almond Dream) but had the exact same reaction. Thanks for posting this! I’m allergic to carageenan too! I just found out about it along with a long list of other things including guar gum and arrowroot! I’ve tried eliminating everything to help with my chronic daily migraines and now this allergy could explain it all! Happy to meet you Chelsea Pearl. I think it’s taken me five years to narrow done my allergy between xanthan gum, guar gum and carrageenan, I broncho-constrict and wheeze for several hours. I used to write down everything I ate which eventually limited me to only eat at home and avoid all three of these thickeners. Today, I think I have it figured out, we had whip cream and carrageenan appears to be culprit. So glad this post helped give some added insight. Be well and happy 2019! Just figured this out last night. I developed an allergy last year where my eyelids and under eyes puffed up dramatically. Went to the allergist and although I’m allergic to the usual, he said since it’s only my eyes that he’d do nothing. Just use the over the counter – that didn’t work. Well, after dropping almost all dairy, I had whipped cream from a can a couple times and the eyes started to swell. My husband figured out the whipped cream and then said maybe it’s something IN the canned cream. Then I found this additive. It’s such a sneaky ingredient! It’s in so many dairy products. Thanks for sharing! My son had a severe allergic reaction to the Odwalla Strawberry Protein shake which has carrageenan in the list of ingredients, and I am trying to find out if that was the cause or other hidden protein ingredients not listed on the label of the bottle since he has peanuts and tree nuts allergy. Is there an allergy test for carrageenan ? There is no allergy test for carrageenan, but you can order it in powdered form and bring it to your doctor to see what they recommend. Hope this helps! Yes, there is. I was tested 4 years ago and was positive. You have to ask for the test, several labs offer it. Even Anylabtestnow had it in the allergy panel from Spectrum. Hello ! I recently found out that I have an allergy to carageenan as well . If I have any I am sick for days in end . I can not stand up straight for days. After I consume uist a little bit of something with it in. I develop severe stomach pain, ibs, headaches and shaking . It completely ruins me for days till I can even semi function . I have developed what I suspect to be a sensitivity to carageenan just this year. I love the taste of the Mountain Dairy vanilla egg nog (sold by Kroger affiliated stores), but this year I have started getting cramps and diarrhea after drinking a lot of it. A few days after that had subsided, I had some cottage cheese and some soup, both had carageenan in them, and had the same symptoms. Now I am trying to avoid anything with carageenan. I am glad that Daisy products do not have carageenan in them, and are not real expensive. Sad that the only chocolate milk without it that I have found so far is rather expensive compared to the others. I figured out a few years ago that I too am very sensitive to carrageenan. At the time I had never even heard of it. I was using a lot of the organic Pacific almond from Trader Joe’s. I was also in the habit of stopping at the fro yo shop near my house. I’ve since learned it is in pretty much all frozen yogurt. Thank you for sharing this, especially how many foods have this ingredient. There were so many things on your list I would not have suspected and I avoid carrageenan like the plague. Do you happen to know which breweries are using it? I’m an IPA fan. I wish they had to list it if they use it in their process. I am also severely severely to carrageenan and even more so to guar gum. Horrible and scary anaphylaxis with trips to the hospital and allergists occurred from ingestion of something. It took a while to figure out what it was and now that I know I obsessively look at labels. Shopping at the health food store did not solve this as both of these additives are listed as “organic” on labels. They are natural products. Eating at restaurants is a problem, as anything that contains a sauce, especially one with dairy products, is suspect – heavy cream, whipped cream, yogurt, cottage cheese, sour cream, cheeses – mozzarella, and ricotta cheese are problematic. Recently I found that coconut milk and other coconut type products may contain these allergens. Another problem is with prepared foods that say they contain heavy cream or cream. I don’t know IF the ingredients in the cream they used to make the product are included in the list that is provided on the product – for example ice cream made with cream. Sometimes I have had a reaction and I think it is coming from an ingredient in the list that doesn’t have it’s ingredients listed! I am in my 60s and these allergies reached a life threatening level about 3 years ago. For years I was having a milder reaction to eating smooth ice cream and lattes/desserts that had whip cream on them. Allergies can increase over time to reach a seriously life threatening level suddenly. It is important to be aware.